Save money by avoiding expensive re-sharpening costs and down time on your electric planer. Grinds HSS blades of any length. 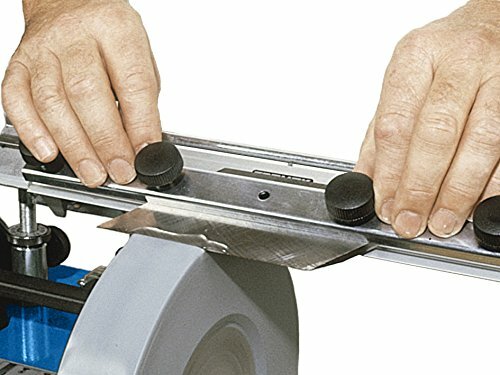 This jig allows you to measure exactly how much is to be removed. Grinds each blade identically so they are never out of balance. Save money by avoiding expensive re-sharpening costs and down time on your electric planer. Grinds HSS blades of any length. Min Width: 13mm (1/2") Grinds each blade identically so they are never out of balance. Also for mitre guillotine blades. This jig allows you to measure exactly how much is to be removed. 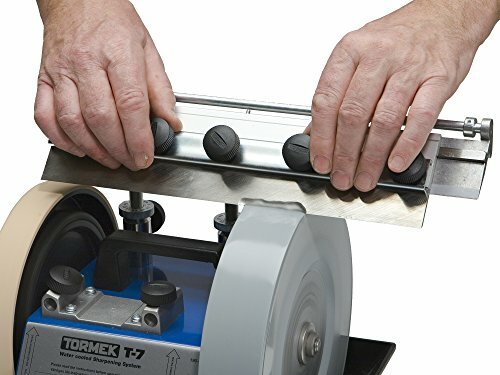 Tormek T-7 is recommended for this jig. Made in Sweden.